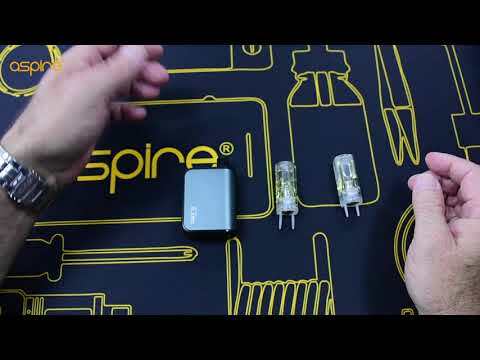 Aspire Gusto mini is a super low profile AIO device, powered by a built in 900mAh lipo battery, packed with a prefilled disposable pod with just a fire button to operate, which makes the Gusto mini super easy to use. The output wattage of the Gusto mini is 17W which ensures enough power to provide you with a quality vape every time. The Gusto mini comes in four attractive, stylish colors, black, red, blue and grey. Looks like this device may replace my NX30/Nautilus X for stealth vaping! 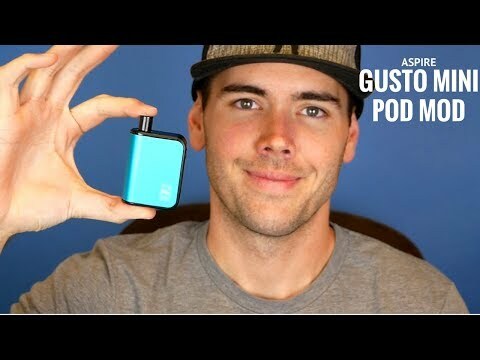 I'm curious about the liquid pod and even more about the 20mg nicotine salt e-liquid ... can't wait trying that to see if it will calm down my vaping a bit. I already tried this mod on Vape Show in Prague on Element E-liquid stand and...it's amazing! Pod is filled with Ns20 liquid from this manufacturer and the hit and flavor is incredibly good. The hit is very strenght but smooth and is same as you will smoke classic cigarette. I hope that Aspire will have good distribution across EU for e-liquid pods, because it's must have for me to carry it to office (and say good bye to Siren 25 And Kayfun Five). So, what is happening ? Where did the little Gusto go ? I don't see it on the Aspire online webshop. I have seen it on a french website but with normal Halo liquid pods (6 or 12mg/ml), nothing about the 20mg nicotine salt liquids. @Tina Any news, Tina ? @Cegoca we will not sell Gusto mini, if customers want to buy this product,please fell free to contact https://elementeliquids.com/pages/ns20-designer-nicotine-salts-pods and halo. Just in case anybody in the USA is looking for the Gusto Mini, I saw it on the Halo website. $30 not bad but the replacement cartridges cost look kind of steep to me, I wonder who is going to be the first one to make a refillable cartridge for this mod? A refillable cartridge ? OK, but to fill it with what ? It's the nicotine salt liquid that is expensive.